Classic Round Diamond Engagement Ring with Channel-Setting | Shane Co. Ten round channel-set diamonds, at approximately .52 carat total weight, have been hand-selected for exceptional brilliance and sparkle. 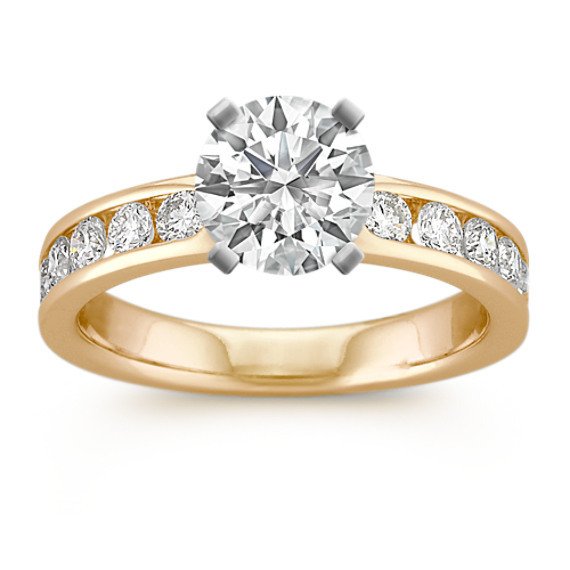 Set in superior quality 14 karat yellow gold, each stone complements the other, and sets the perfect stage for the center diamond of your choice.